"Our study showed that it is possible to re-establish bighorn sheep populations without a reduction of gene diversity over a short period and without erosion of ancestral lineage," says Holly Ernest, a UW professor of wildlife genomics and disease ecology, and the Wyoming Excellence Chair in Disease Ecology in the Department of Veterinary Sciences and the Program in Ecology. 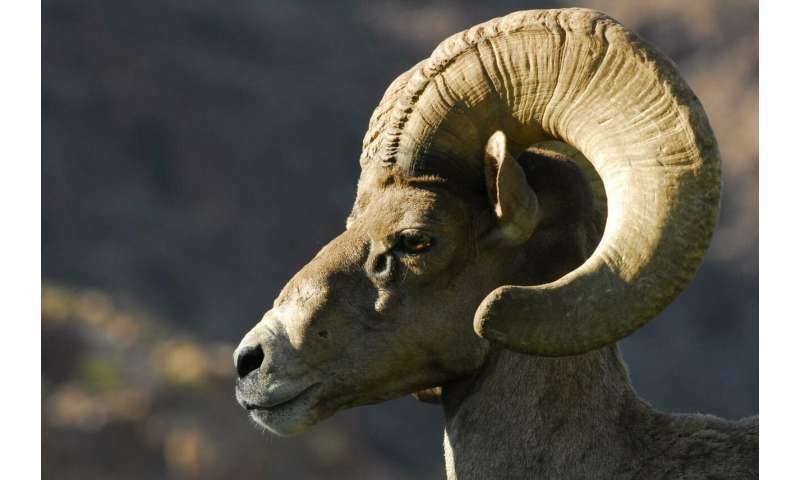 Ernest was the senior and corresponding author of a paper, titled "Genetic Outcomes of Translocation of Bighorn Sheep in Arizona," that was published today (March 6) in the Journal of Wildlife Management. The journal publishes manuscripts containing information from original research that contributes to basic wildlife science. Suitable topics include investigations into the biology and ecology of wildlife and their habitats that have direct or indirect implications for wildlife management and conservation. Daphne Gille, a postdoctoral researcher at the University of California-Davis, was the paper's lead author. Ernest was Gille's Ph.D. mentor on this project while Ernest was a professor at UC-Davis until 2014 and, together, they continued the work after Ernest moved to UW. Populations that were recipients of translocated animals showed substantial genetic diversity, according to the paper. This was contrary to previous studies that described "genetic bottlenecks," or low genetic diversity, as a result of translocation in certain populations, Ernest says. "In Arizona, we found there was quite a bit of diversity in these translocated populations, and that was a good thing," Ernest says. She adds that the Arizona Game and Fish Department and other wildlife management agencies use a method called "population supplementation" in which bighorn sheep are moved to an existing herd in another location. "When useful to augment populations, wildlife agencies might translocate a few bighorn sheep in one year and, in another year, put a few more in," she says. "Also, translocation efforts can include reintroducing whole populations into empty, historic habitats that have been used by bighorn sheep in the past, or by supplementing the smaller, weak populations that need fresh genetics." Analyses of this study show significant genetic differences within each desert bighorn sheep lineage and, thus, suggest an important difference from current management practices that consider each lineage to be a single genetic unit. According to the study, several lines of genetic evidence presented suggest that the Bill Williams River area in Arizona is the contact zone for the two desert lineages of bighorn sheep. However, the degree to which translocation has enhanced introgression—genetic mixture—is unknown. "Evidence shows that, even with moving bighorn sheep around for conservation and management, it didn't affect these three precious lineages," Ernest says. "They maintained their differentiation in size and horn types. Hikers and biologists care about this. Hunters care about these differences."